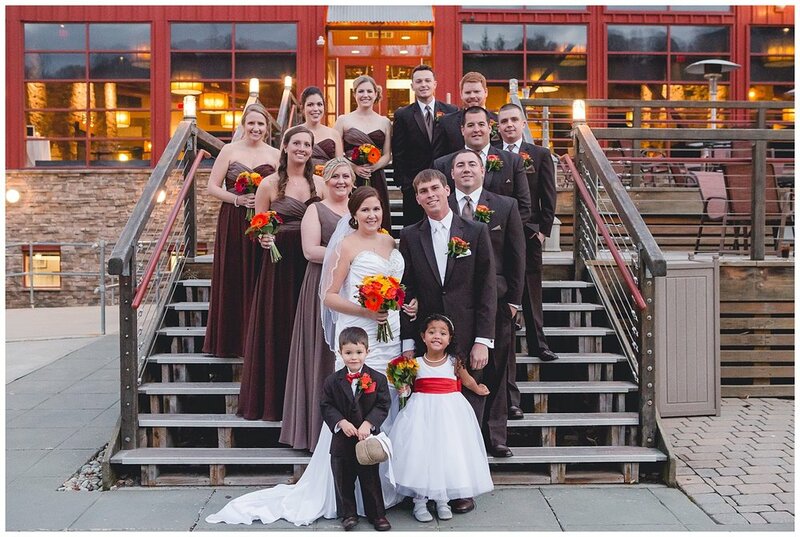 We originally met Lindsay when she was one of the bridesmaids in another wedding we did a couple years ago. 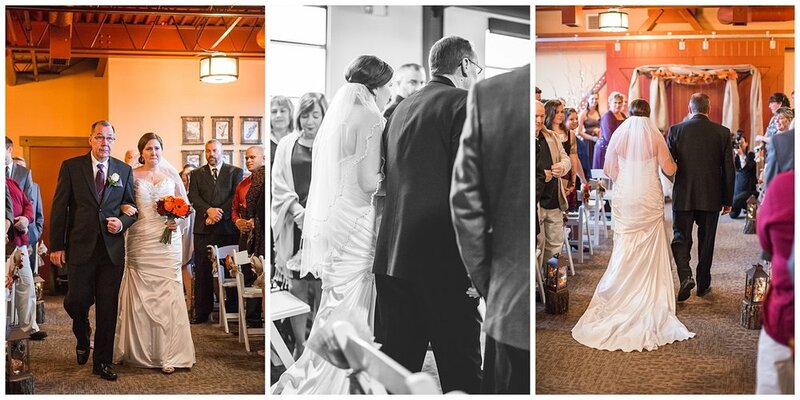 Little did we know that almost exactly 2 years later, we'd be capturing Lindsay and her fiance Don's wedding! Don and Lindsay are the kind of couple that you don't have to spend very much time around to see how happy they make each other. They know just how to make each other laugh, and that truly is one of the best things. 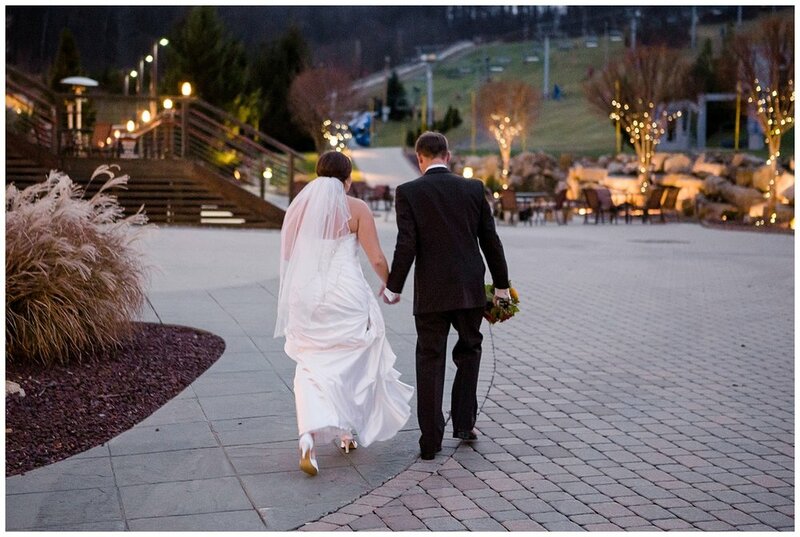 The wedding took place at the gorgeous Bear Creek Mountain Resort. And even though there was no snow on the ground yet, the venue still made for fantastic views and a cozy warm atmosphere, full of fireplaces and beautiful brick walls. Thanks Don and Lindsay for having us be a part of your awesome wedding day! We wish you nothing but the best on your new adventure together! We'll call this the "no-looking first look". 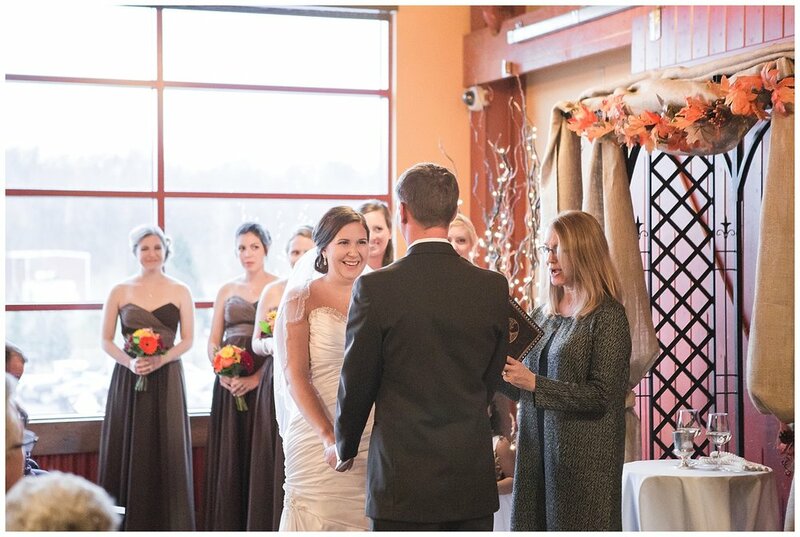 So this was the closest they got to seeing each other before the ceremony. 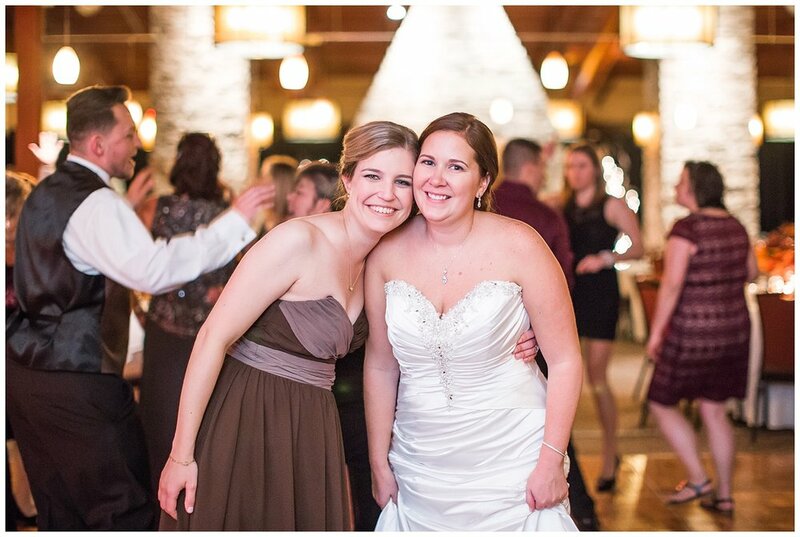 I loved the girls dresses, and how they worked so well with the pop of Fall colors in the bouquets! 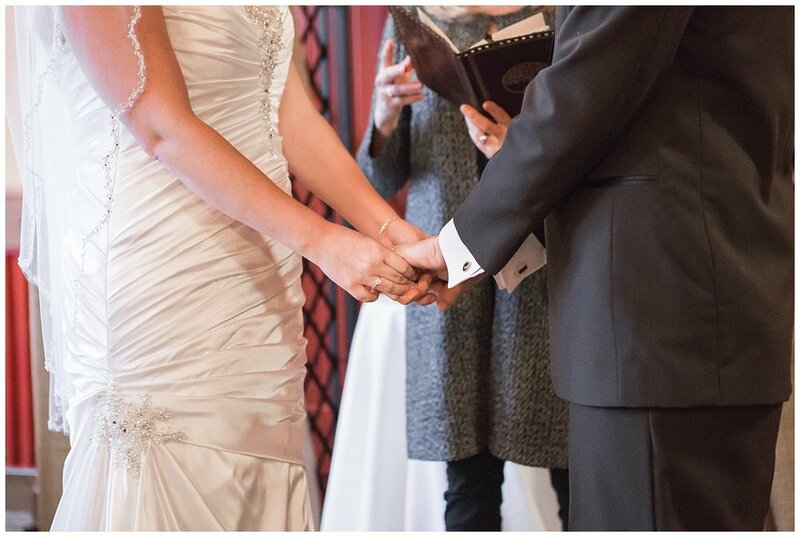 Such an emotional walk down the aisle, I could barely hold it together just watching them. We managed to sneak in a few outdoor shots after the ceremony with the little remaining daylight there was. Enjoying a cozy warm moment by one of the many fireplaces. No shortage of sweetness at this wedding! 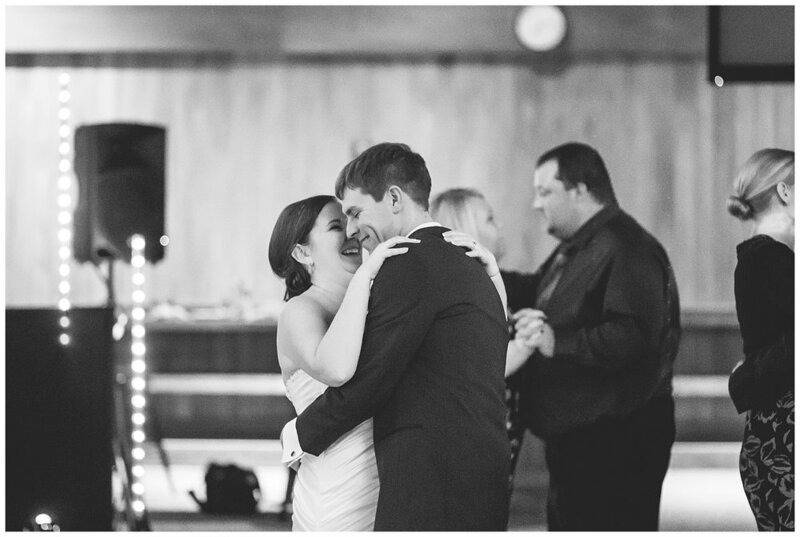 Age doesn't matter when it comes to enjoying a great wedding reception dance party! 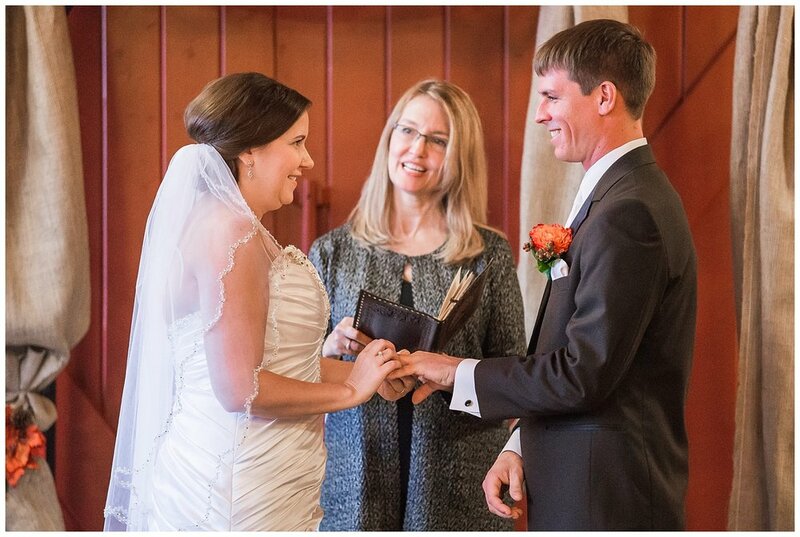 It was great seeing Leslie and Corey again after shooting their wedding 2 years ago!